I began playing electric bass when I was 12 years old, the same year I started playing tuba in the school band, and guitar around 17 or 18. Because my school wouldn’t let anyone play electric bass I taught myself to play bass using the tuba sheet music of pieces we performed in school, and by learning songs on the radio and record by ear. Sometime later I studied classical, Motown, R&B, blues, pop and jazz with a local, Long Island bass player John DeWitt who played with Aretha Franklin and the Long Island Philharmonic. I eventually went off to study at the Berklee College of Music where I received a Bachelor of Music Degree in Professional Music. While at Berklee I studied bass with some top players in different styles of music; rock, metal and funk with Jon Finn and Joe Santerre (Jon Finn Band), country with Bob Stanton (T.H. and the Wreckage), funk with Anthony Vitti and Jazz with Bruce Gertz. Although I got a lot out of my studies at Berklee, jazz, pop and blues just weren’t (and still aren’t) my thing. As a band member and as a freelancer, I spent the majority of my career playing bass and writing and recording original music with many New York City-based Goth, Industrial, Rock and Metal bands and performed in 5 countries and recorded on over 20 albums, EPs and singles, and many, many demos. My professional career kinda started when I was 18, when I did my first recording with a “college rock” band called Press Gang. We played clubs and college campuses on Long Island and recorded a 4-song EP and had our track “By Your Side,” in rotation on Long Island college radio stations. I eventually left Press Gang to attend Berklee. 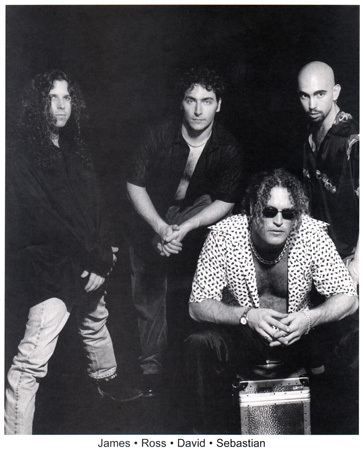 After graduating from Berklee I joined Joey Fulco and the Subway Gunmen, a pop-rock/country band, for a year to tour in Switzerland, with stops in Italy and Monaco. We performed everywhere from open-air festivals to clubs and bars to weddings and restaurants, even 1-mile inside of a salt-mine. We returned to the US only for a month to record the album “Rock It Up Pancakes!” While in Europe I had the opportunity to jam with European pop star Haddaway (“What is Love?”) and with Prince Albert Renier of Monaco, and got to play at the Montreux Jazz Festival. In 1998, I decided to leave Cave Penny and move to New York City and form the band NVR. With NVR I recorded, engineered and mixed the 4 song Ep, “Neverland.” Our first gig was playing in front of over 1 million people at the 25th Annual NYC Halloween Parade on the back of an 18-wheeled, flatbed truck. The band developed an aggressive, and over-the-top guerilla marketing attack and eventually got us blacklisted by MTV and record companies in NYC. This blacklisting and some band turmoil eventually lead to the demise of NVR, but not before almost selling out CBGBs. With NVR finished I joined the Goth-Industrial (also known as Cyber-Pop) band Otto’s Daughter. While with Otto’s Daughter, I co-engineered and recorded the album “Renew,” on which I co-wrote a few songs, played bass, guitar and keyboards and did some drum programming. 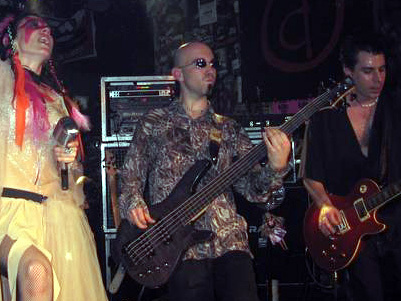 The band performed in clubs at many of the major cities throughout the East Coast of the United States, and was a featured performer at the Blade 2 movie premier party in NYC and at several Goth-industrial festivals including Convergence 7. While performing at the Vampyre’s Ball in New Orleans the band met the producers of an independent horror movie called “Strange Things Happen At Sundown,” who cast me and lead singer Jacqueline as victims in their movie. After performing with the band for over 3 years several members of the band decided to relocate the band to Hollywood, CA. I decided to stay in New York City to pursue other interests. 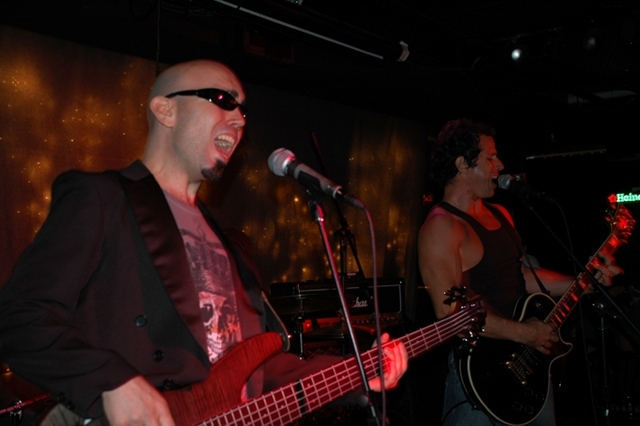 In 2003, I formed the alternative hard rock band Atomic Brother. In addition to being the bass player in the band, I was the co-writer and recording engineer on all the releases. In 2004, we made our first release with a single; a cover of the Alice Cooper classic, “Elected” for the 2004 US Presidential election. In 2007, we released our first album, “See Me Comin’”, which was recorded & produced in Lausanne, Switzerland at Soundlake Studios with me behind the console. In 2009, Atomic Brother released the Ep Silence Collide, and in 2010 released the EP Pretty Little Lunatic. 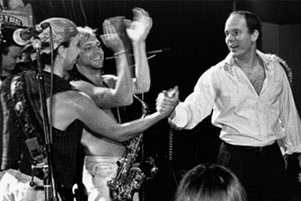 While playing in Atomic Brother I joined some old friends in another band, called Scratcher. The band’s sound is an amalgam of indie rock and 80’s new wave and punk. 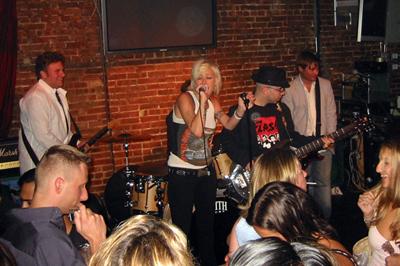 In the beginning of 2005 Scratcher recorded and released a 3-song CD. At the end of 2005, we began recording a full-length album to at my studio with me at the controls. While playing with Cave Penny I got my first taste of freelancing and never looked back. I did a 6 month stint filling in on bass for Long Island Music Hall of Fame inductees, The Good Rats while they searched for a full-time band member. Over the years, in addition to playing in my own bands, I continued to freelance, playing with some really cool rock, industrial and metal bands like Pillow Theory, King Hell, Modus Operandi, Moto Star and Ray West’s All Points West. In 2009 I relocated to Austin, TX where I continued recording with Atomic Brother and am getting more involved with long distance, remote recording while working with Freedom, and ambient, world music artist based in Colorado. With Freedom I recorded bass on several tracks on the albums Age of Aether and Angels and Monkeys. In 2013 I launched my solo project called Afflicted By Design. As its main producer, singer, songwriter, and instrumentalist, I am the only official member of Afflicted By Design. On May 14, 2013, Afflicted By Design released its first Ep, entitled #nameless with performances by several former bandmates and friends from the New York City, NY and Austin, TX Industrial and Metal scenes. On November 4, 2014, Afflicted By Design made its second release, a single called “I Believe In Halloween.” With Afflicted By Design I am continuing to release new music while working freelance in Austin playing bass and programming synths and drums.